Who doesn’t love peppadew in a dip with breadsticks, chips, vegetables or naan bread! 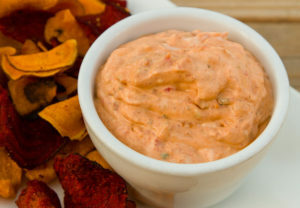 This peppadew dip is sweet and savoury, perfect for all guests! Serve with the crudités and veggie chips. Liked this? You’ll love our next recipe!